“Um cafézinho?” (a little coffee?) has to be one of the most widely used expressions in Portuguese. It really knows no boundaries. Everybody uses it, at all times. Its popularity reflects the preponderance of coffee and café culture in Portuguese life. People start their day by taking “a little coffee”. People invite you for coffee, people meet at cafés to chat, or just contemplate, and they stop at the café on their way home. Cafés are vibrant, playful, lively and definitely part of the Portuguese culture. In the country’s main cities, cafés are part of the Portuguese way of life. The Portuguese really have an infatuation with coffee. Maybe this has roots in history as the Portuguese brought coffee from the colonies (Brazil and Africa) for centuries. They love coffee, preferably strong. Drinking strong coffee is such a tradition that multinational coffee chains have had quite a struggle to enter the Portuguese market, and even today they are mostly frequented by tourists. There is another good reason why locals prefer the old-school, historical cafés. They are absolutely gorgeous. Closely linked to the cities’ fabric, cafés carry memories and stories, both physically and symbolically. More than just a place to have an espresso cafés in cities like Lisbon and Porto are pulsating meeting points. People gather at cafés, to meet with friends, on a first date, but also to read the newspaper, chat, exchange ideas or just sit quietly, idling, contemplating the passers on the street. Just like in Paris, where this tradition is so strong, café culture in Portugal is part of the nation’s collective imaginary. Around a cup of coffee, feel like a local and discover the spirit of Portugal in a tailor-made city break designed by Episode Travel with Art. Whether you just make a pit stop at the counter and ask for a “bica” (espresso) or you stay for hours at the café terrace with friends, you will understand just to what point café culture is part of Portugal’s identity. With mild winters and warm summers Lisbon is a permanent invitation to enjoy outdoors living. The best place to this is at beautiful iron quiosque (kiosk), where you can have a coffee or an apéritif. The first quiosque, designed to beautify the city with its decorative domes, opened in Rossio in 1869 and now there are dozens of them all over the city. A balanced and beautiful mélange of quietness and excitement, Lisbon is one of the most special cities in Europe. In the capital, perfect for a city break, cafés follow this mood. Strolling the streets of Lisbon, you will find iconic, historical cafés, and also places with a more contemporary verve. Nothing is lost. Authenticity is untouched. It’s the natural evolution of café culture. In Chiado, you will want to seek out A Brasileira – the café of cafés. It was founded in 1905 and was a kind of second home to a generation of writers, poets and artists who created Portuguese Modernism. One of them was the poet Fernando Pessoa. His statue, placidly sitting outside on the terrace, is an attraction for tourists. A Brasileira is a must and you should go inside to check its carved redwood panels and huge mirrors reflecting amazing artworks of the beginning of the 20th century. Just a few steps down the road is Benard, another icon of Lisbon Café Culture. This place has a lovely terrace as well, and delicious pastry. 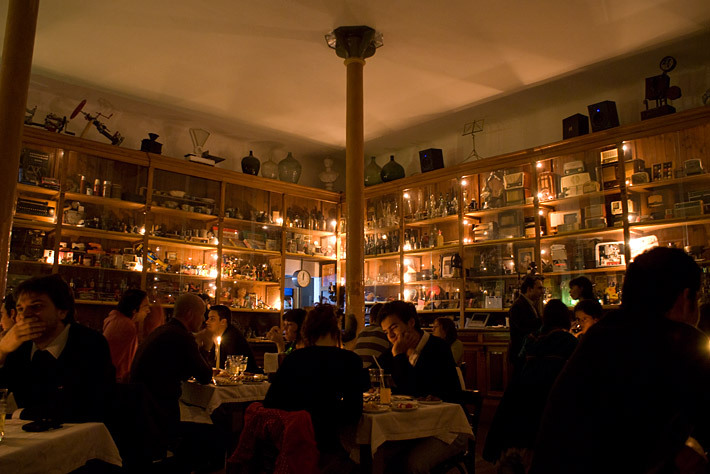 With a French name, Benard has a kind of charming allure which the old-school waiters and elegant interiors confirm. Another vintage classic which never loses its brightness is Café Versailles, near Saldanha, which is inspired by the eponymous French Palace. Expect lots of ornaments, mirrors, and style. It’s like the tastiest and more tasteful time travelling (some people say it has the best pastel de nata in town). For a really good Custard Tart – the best companion for a coffee – visit the Pasteis de Belém (in Belém, next to the Jerónimos monastery, where the glorious recipe is said to have its origins). You can watch the bakers preparing the delicious tarts while you have a coffee. In the area of São Bento, recently opened places are adding new aromas to city’s café culture. These are trendy places, often with a minimalist, Nordic allure such as Copenhagen Coffee Lab (a coffee laboratory where you can have all kids of coffee accompanied by a slice of cake), Hello, Kristof (great for coffee, juices, and trendy magazines) and Nicolau (Rua de São Nicolau, where one of the best, healthiest brunches in town is served). In the North of Portugal Café Culture is equally strong, and aromatic! Just remember, in the north, if you want an espresso you should ask for a “Cimbalino” (not a bica) as this name is an homage to the professional coffee-machine La Cimbali. Café Majestic, in the lively Santa Catarina street of Porto, opened its doors in 1921 and soon became a reference for the city’s bourgeoisie. It retains the splendor of the Belle Époque, with its curved wooden frames, detailed decoration, plaster sculptures and winding shapes it is one of the most meaningful examples of Art Nouveau style. In Braga, don’t miss the Café Vianna, another gem of café culture in Portugal. It was founded in 1858 and hasn’t lost any of its charm!